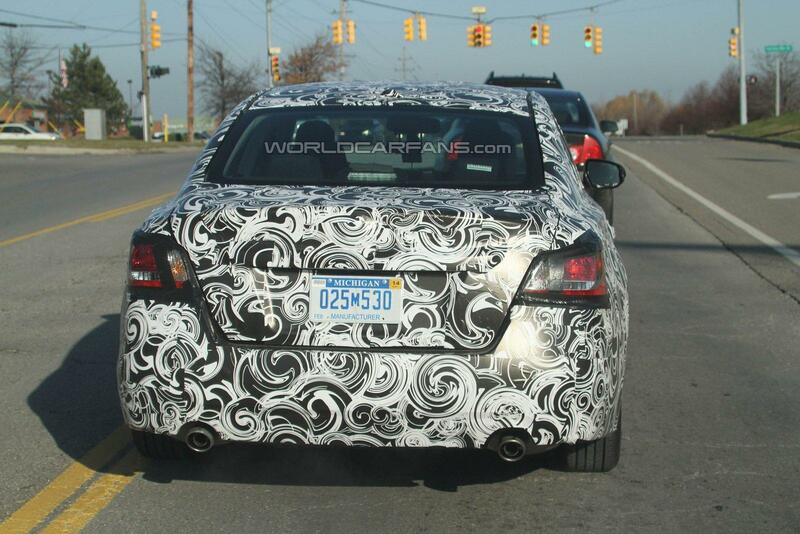 Nissan's 2013 Altima sedan has been spied undergoing final shakedown testing Michigan. Judging by this prototype, Nissan is looking to bring a greater design link to its latest generation models. With that in mind, the radiator grille has been borrowed from the new Versa, along with substanailly noticeable character lines. The side profile sees a coupé-like roofline, more pronounced wheelarches, and a rakish rear windscreen. The rear fascia sports sleeker light clusters and a flatter bumper. Forward-momentum will come from a tweaked four-cylinder and V6 units, carried over from the outgoing model, to provide better fuel economy and power. The Altima Hybrid, launching in 2013, will use a in-house produced system that sees a supercharged 2.5 litre engine married to an electric motor and lithium-ion battery. 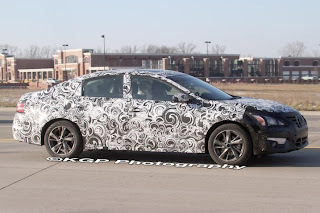 Add a new Xtronic continuously variable transmission (CVT) and performance will be similar to the 3.5 litre V6. 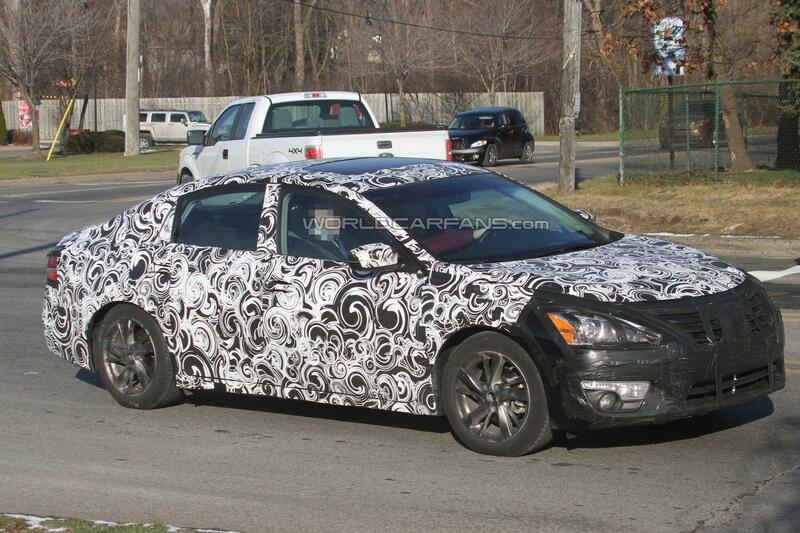 The front-wheel-drive Altima will on sale in late 2012.